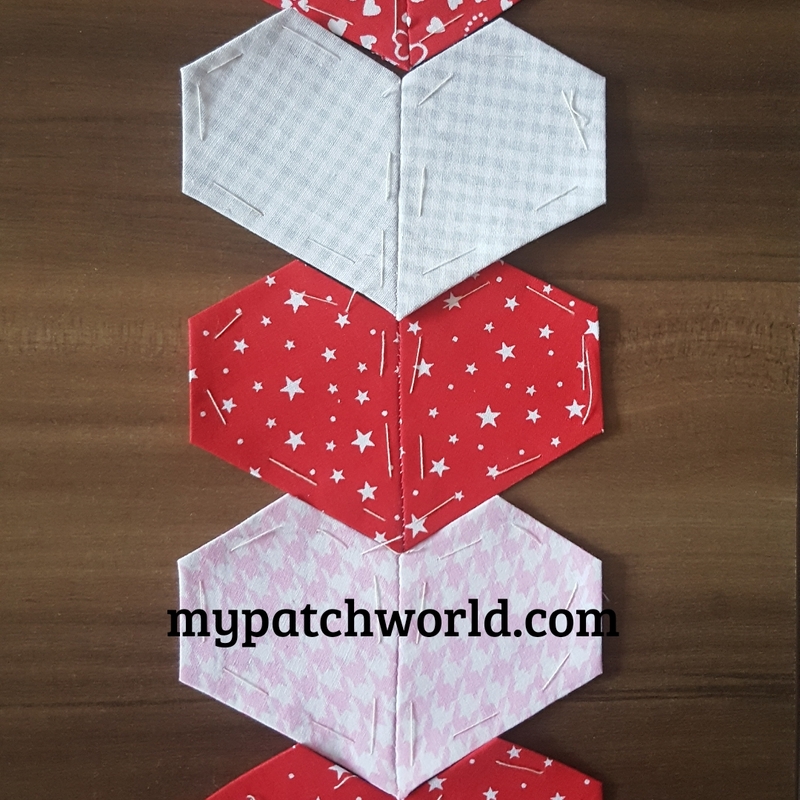 Here is another valentine project with these cute english paper pieced hearts. 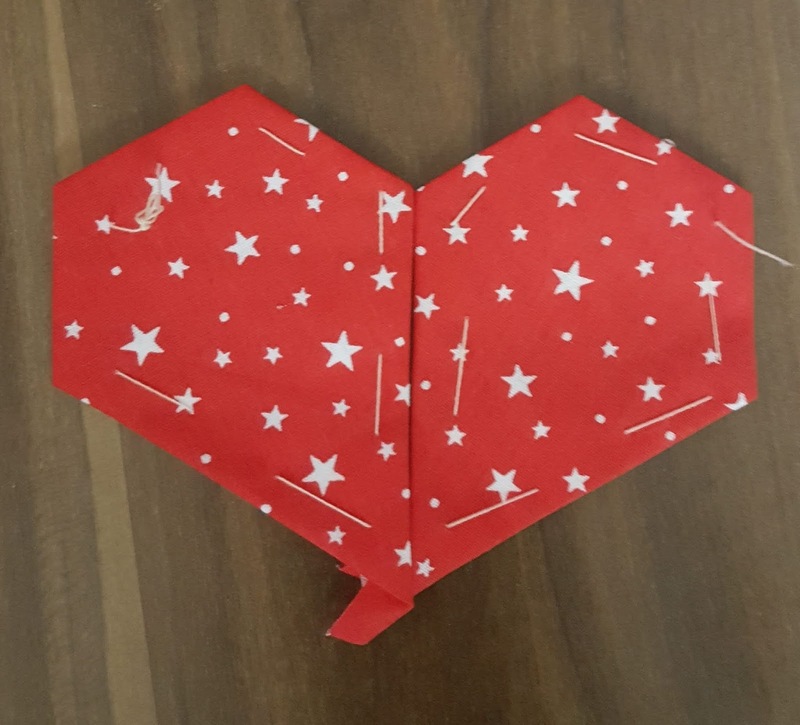 Hearts are made with jewel paper pieces which are one of the easiest EPP projects that is perfect for beginners. 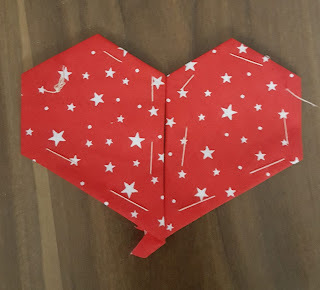 Two jewels sewn together makes a heart that is so cute. I worked with 2.5" jewels (along the long sides). I prepared my own template, which is so easy to me. 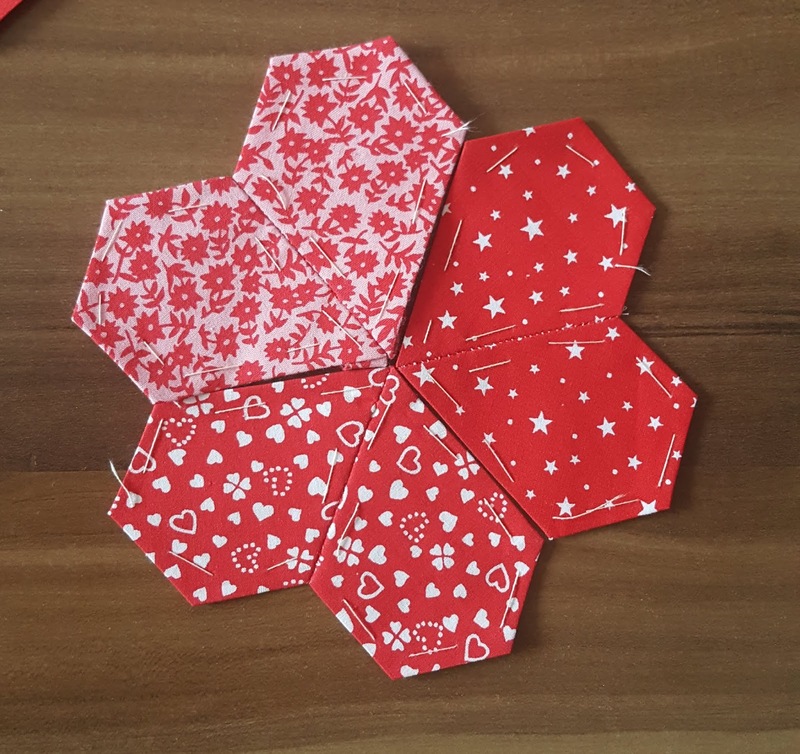 I used a 2.5 " hexagon to make the jewel paper piece. 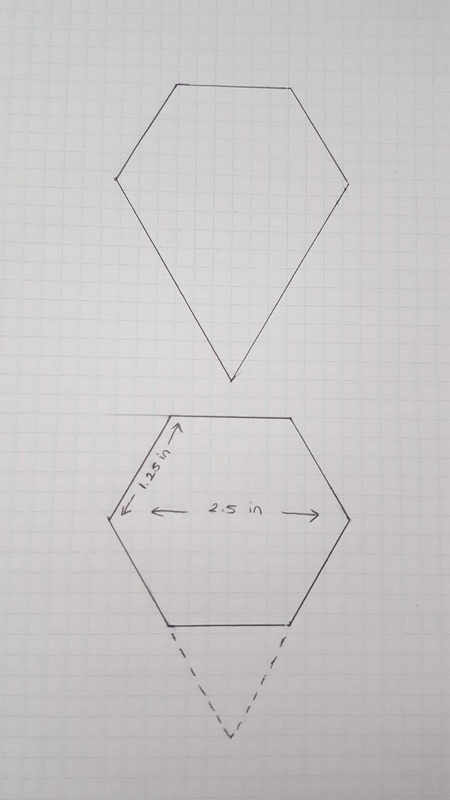 The three sides of the hexagon measures 1.25". 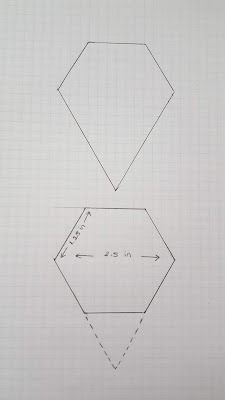 You draw two lines down from the two bottom sides of the hexagon using a ruler and cut out the paper template. 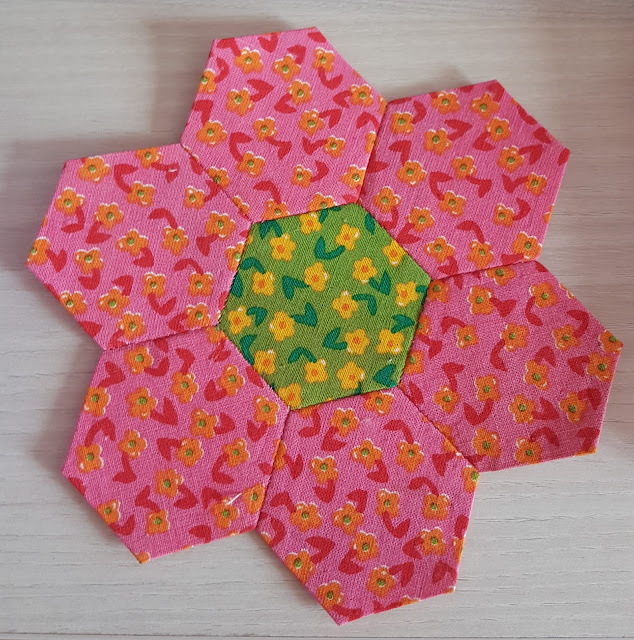 I use this as template to draw more jewels for paper piecing. I use ordinary paper for jewel paper pieces. Then I cut diamonds from fabric. This is how they look from front and back. Since it is a valentine project I used red and pink in making the hearts. 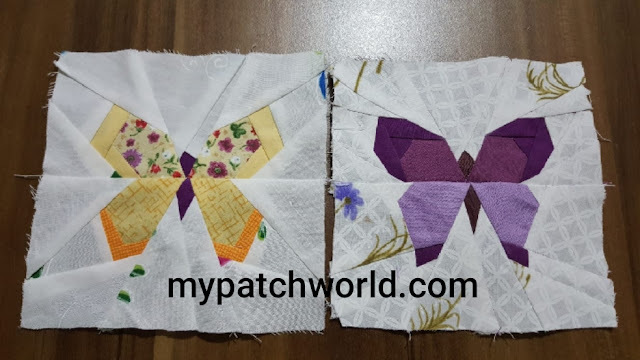 If you are new to English Paper Piecing (EPP), TUTORIAL FOR ENGLISH PAPER PIECING might be helpful for you. 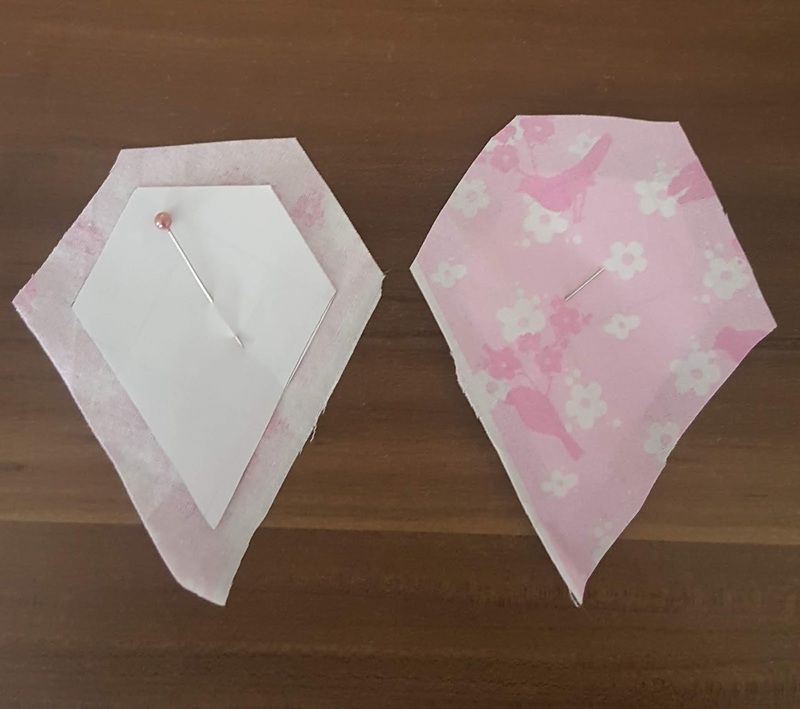 Jewels are pinned and thread basted, ready to make hearts. 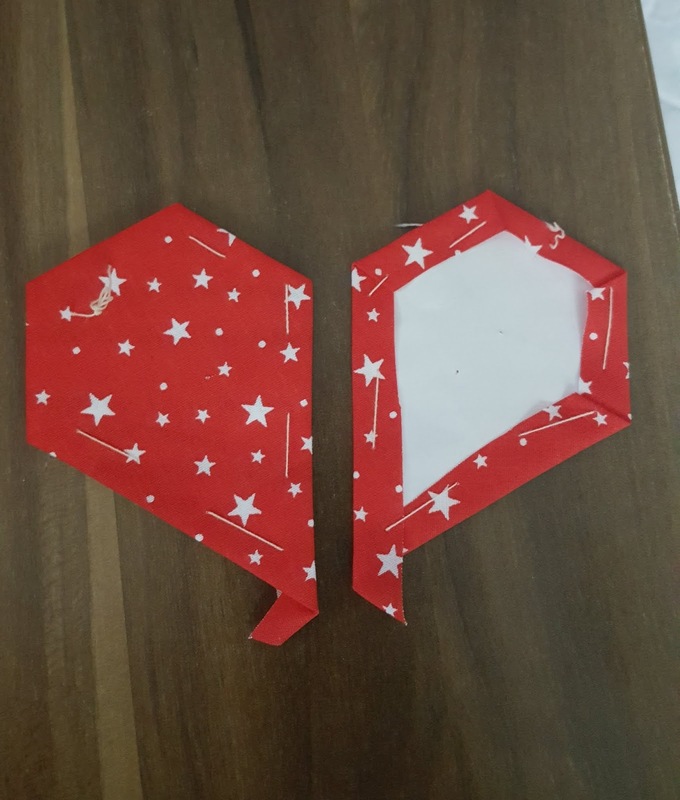 Two of the jewels are sewn together to make one heart. You can arrange hearts in different shapes, below are some arrangement. Which do you like best? 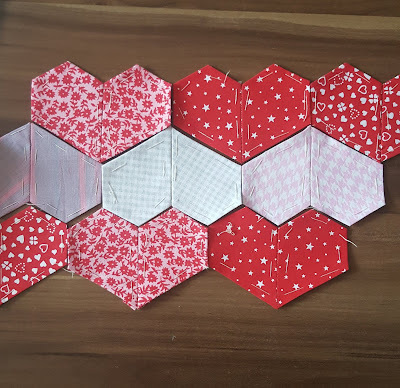 English paper piecing is fun and so relaxing. Jewel paper pieces are as good as hexagons, that gives you chance to play with the pattern.